A stunning three bedroom detached house offered in a private location with a gated driveway and a double garage. 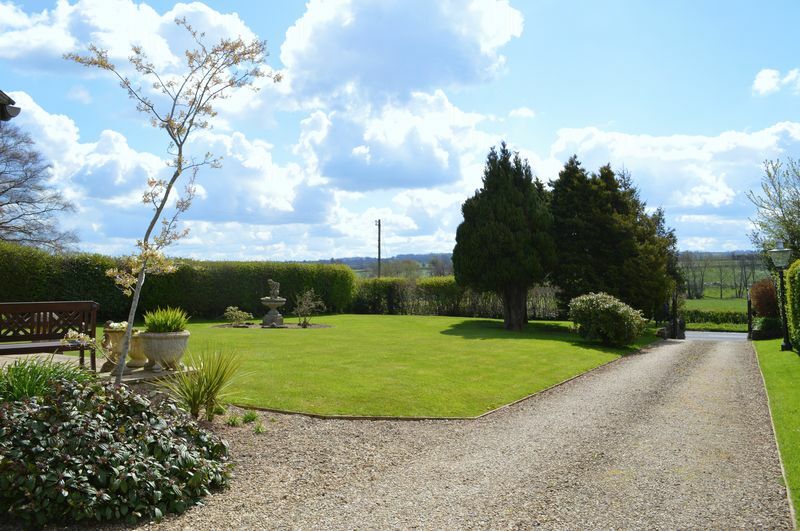 Lovely large gardens with a paddock totalling an acre of land. Ideal for a family. Available now on an unfurnished basis. 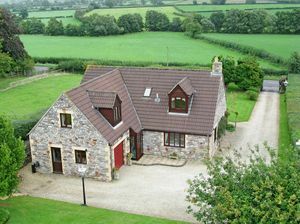 The House The house is finished to a high standard throughout and has been very well maintained. One of the key features of the property is the location, privacy and the views. 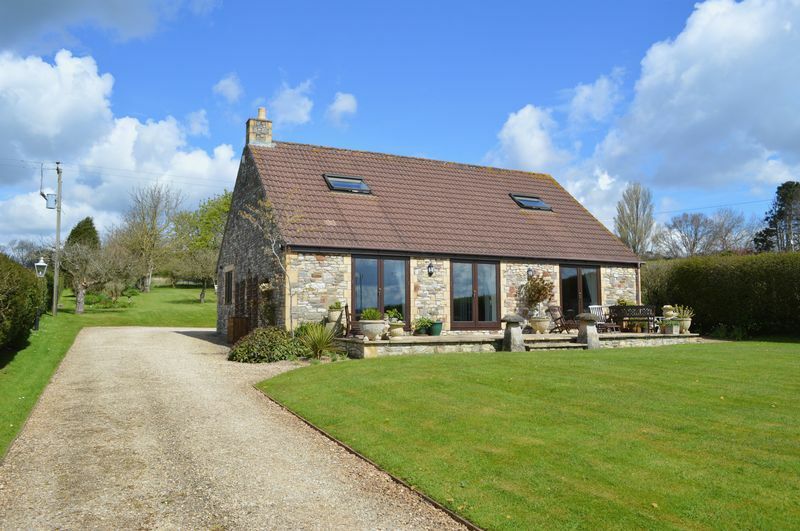 The house is situated on the edge of the village, the long gated driveway and elevated position ensures that the house is barely visible from the road and the superb garden provides seclusion as well as superb views. Description The accommodation throughout the house is bright and airy with both of the principal reception rooms arranged to benefit from the views over the garden at the front and beyond to the south over the neighbouring countryside. 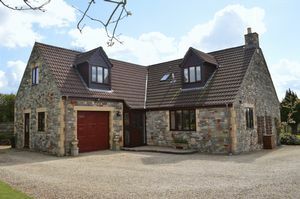 Upon arrival at the property a pair of wrought iron gates open to the extensive gravelled driveway which leads past the front garden and culminates at the garage and parking area in front of the house. The front door of the property opens to the reception hall, once in the reception hall doors lead to the various rooms on the ground floor and a flight of stairs rise to the first floor. 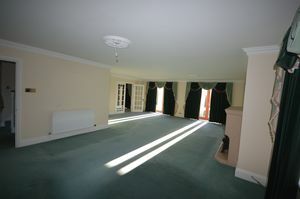 A doorway from the reception hall leads through to the sitting room. 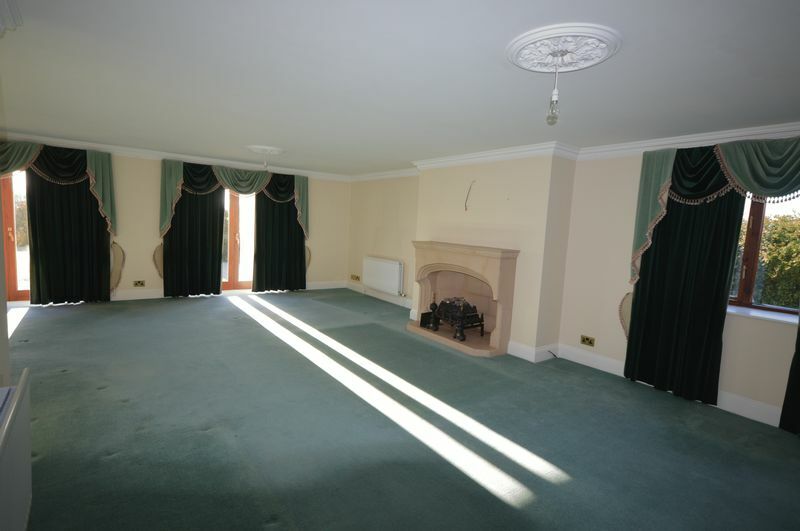 This is a truly remarkable room, measuring in excess of 28ft x 24ft it truly offers a sense of space and openness. At one end of the room 2 sets of patio doors open to the front terrace and garden beyond, there is also a feature fire and additional windows to the side and the rear allowing for plenty of natural light to illuminate the room. A pair of glazed doors open from the sitting room tom the dining room, again with a set of patio doors to the front terrace and the garden beyond. Next to the dining room is the kitchen/breakfast room. 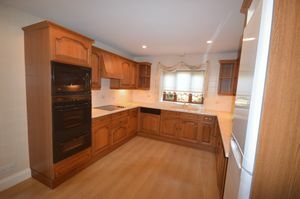 The kitchen is fitted with a range of matching wall and floor units, an electric hob, a double oven with grill, a microwave and a dishwasher. 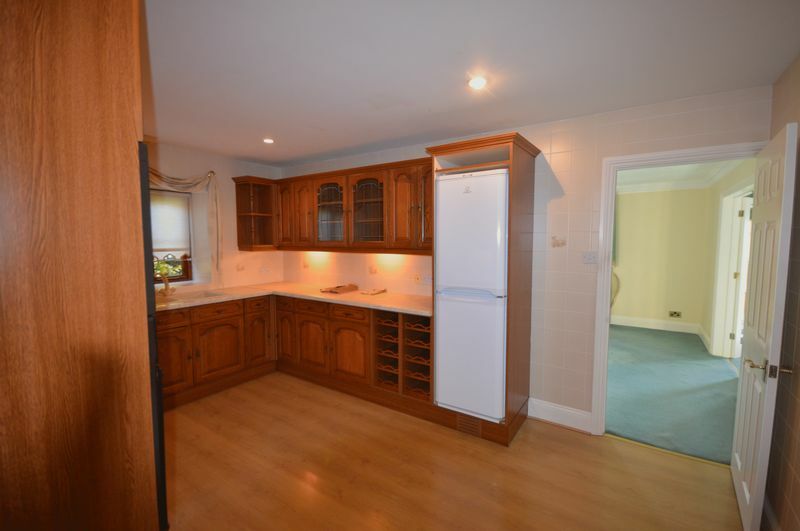 Also on the ground floor is the utility room, a cloakroom/shower room and an internal door leads into the garage. 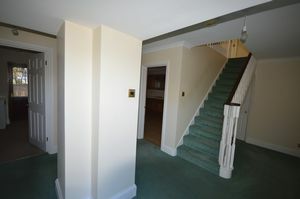 The staircase from the reception hall leads to the first floor. At the top of the stairs is the master bedroom, with an extensive array of fitted furniture, a window overlooking the rear garden and an en-suite shower room. 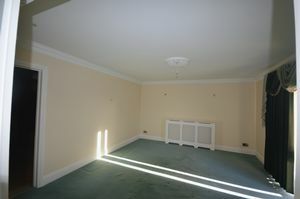 There are two further double bedrooms, both with fitted furniture on the first floor as well as the family bathroom. Outside The property is approached via the long gravel drive. This leads into a gravel parking/turning area and the garage. The gardens to the front and the rear are a true credit to the property and have to be viewed to be fully appreciated. 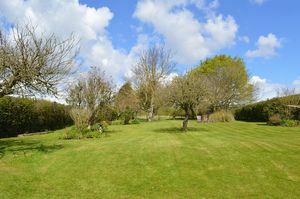 The front garden is laid to lawn with established trees and an attractive hedgerow. The rear garden is again laid to lawn with floral beds, mature trees and grasses. At the very top of the garden is the ‘picnic area’ a truly unique place to enjoy the vista and entertain family and friends. In total the grounds and garden amount to just over 1 acre. 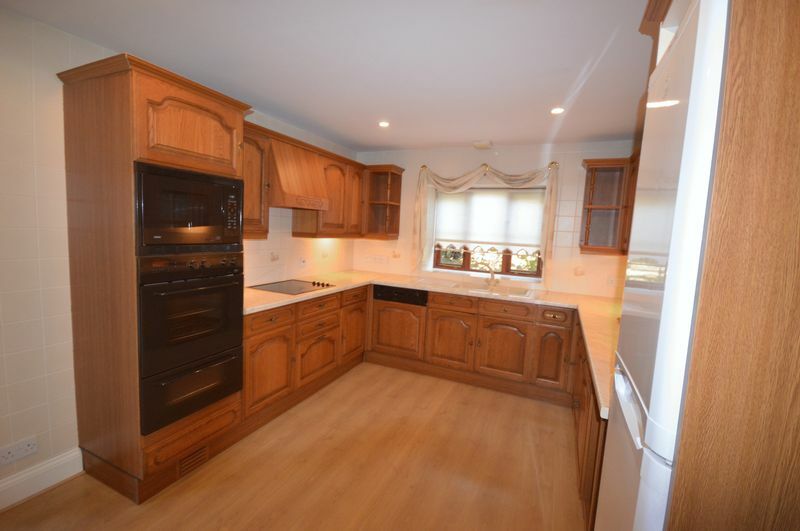 Accommodation:- 3 Bedrooms Kitchen/Dining room Living room Large Gardens Parking and Garage Lovely Views Services – Mains Water and Electricity. Private Drainage. Oil Fired Central Heating. Local Authority and Council Tax - Bath and North East Somerset Council. 01225 477000. Council Tax Band D. VIEWING Strictly by appointment with Killens (Tel: 01275 333993) Directions – From Chew Magna proceed towards Stanton Drew on the B3130. Pass the cricket ground and continue for another 0.4miles and the property will be on your left hand side just after the turning for Sandy Lane. LOCAL AND PUBLIC AUTHORITIES Bath & North-East Somerset, The Guildhall, High Street, Bath, BA1 5AW – Telephone: 01225 394041 RENT £1800 per calendar month, exclusive of council tax, electricity, oil and other outgoings. 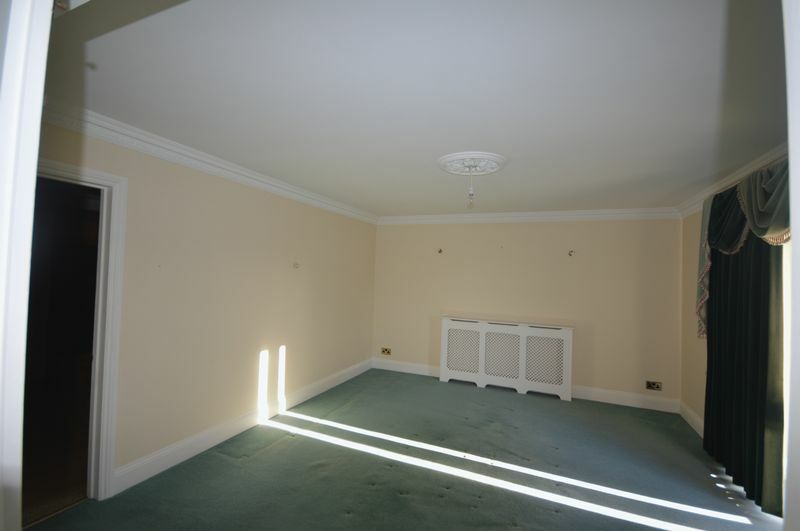 TERMS AND CONDITIONS · Unfurnished · To be let on an Assured Shorthold Tenancy for a fixed term of 6 months or more. · A deposit equal to one month's rent will be taken and held for the duration of the tenancy. 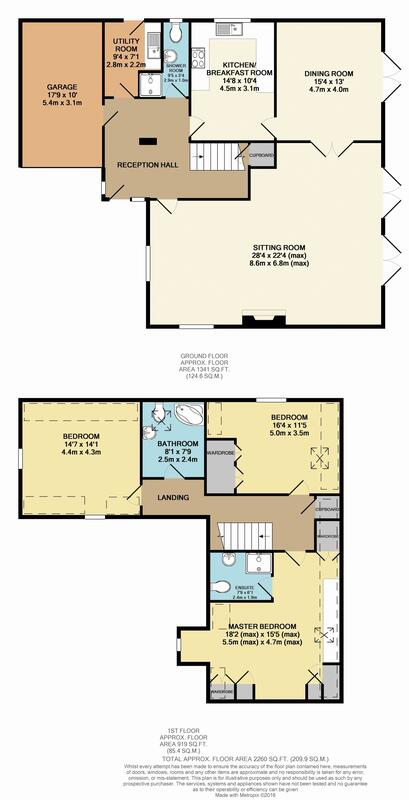 · References will be taken and costs to be met by the ingoing tenant. · Available now.